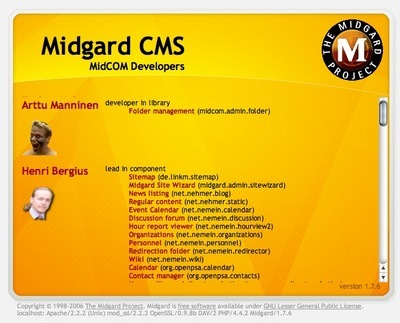 MidCOM, the component framework used in Midgard CMS is rapidly approaching 2.6 stable, and a lot of minor improvements are trickling in. These include a drag-and-drop way to reorganize navigation items and a new view listing MidCOM contributors. 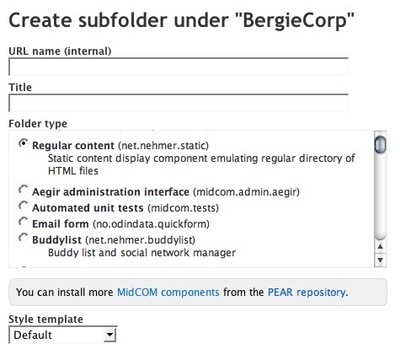 The main point in this change is to make it easier to understand the different components available, and to tell the admin that more components can be installed easily. Once the Tango icons are properly packaged, we will also include nice descriptive icons on the various components into the view.